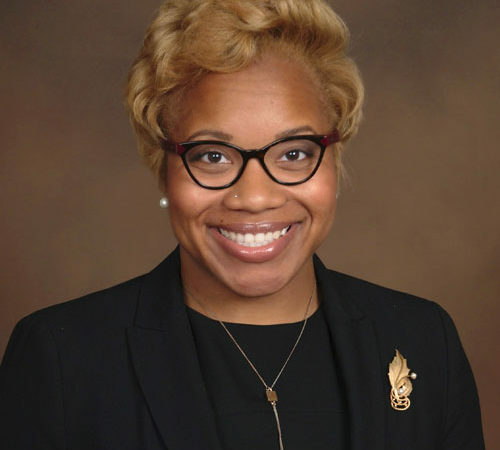 Kristin Johnson | The Barristers' Association of Philadelphia, Inc.
Kristin Johnson began her educational journey at one of the top historically black colleges, Spelman College. During her years of being a Spelmanite, she received various awards and actively volunteered while being a UPS scholar and a Shepherd Poverty Alliance Scholar. While in law school Kristin clerked for the Honorable Petrese B. Tucker of the United States District Court for the Eastern District of Pennsylvania. Kristin also interned at Philadelphia District Attorney’s Office. Upon graduation Kristin worked as a law clerk for the Honorable Sherry Hutchins-Henderson of the Essex County Criminal division. After passing the Pennsylvania Bar, Kristin accepted her current position as the Assistant District attorney in the Juvenile Division assigned to the diversion programs Juvenile Treatment Court and Crossover. Kristin’s desire is support and promote the goals and values of the prestigious Barristers organization.